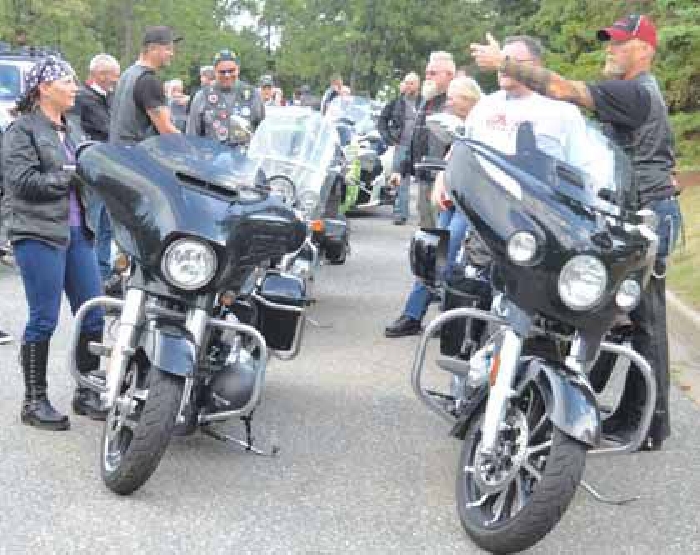 The Rolling Barrage, a cross country motorcycle ride to raise awareness of, and support for treatment of PTSD, will be rolling into Moosomin Monday, August 14. There will be a fundraising barbecue over the lunch hour at the Borderland Co-op C-Store while the riders take a break on their cross-country ride. Ryan Bender will provide entertainment. The Rolling Barrage is being organized by an organization known as Military Minds, which provides treatment for Post-Traumatic Stress Disorder. “Rolling Barrage is a rolling fundraiser presented by Military Minds, in support of veterans and serving members as a show of strength, and unity to conquer the stigma of combat PTSD,” said Scott Casey, Military Minds president. “This fundraiser is more than just about raising money, although it is our primary goal, so that we may launch and maintain programs under the MMI banner. It also encourages veterans, serving CAF members and first responders. “Brotherhood is significant in any healing and this will show the spirit across the nation. However, this ride is open to all riders and not just military in nature. In fact, we openly invite civilian riders, as a way to show resounding support for our troops. “2017 marks two important dates this year, the 150th birthday of our nation, and the 100th anniversary of The Battle of Vimy Ridge. Vimy is commonly recognized as Canada’s birthplace on the world stage as our four divisions fought together for the first time during the Great War. Success at Vimy was realized, not just because of the tenacity of its soldiers but because it employed techniques developed by Canadians, like its brilliant use of artillery fire. That rolling barrage of fire allowed the attackers to walk up the hill under its cover and take control within a short time frame. The barbecue is set for 12-1:30 today.